This is the scene a week ago today at 5:30 a.m. in White Sands, New Mexico. Most of us awoke to alarm clocks at 3:45 a.m. (that’s 2:45 a.m. if you’re still on Arizona time, but who’s counting?). Families are already gathered to have some fun sliding down the gypsum dunes. 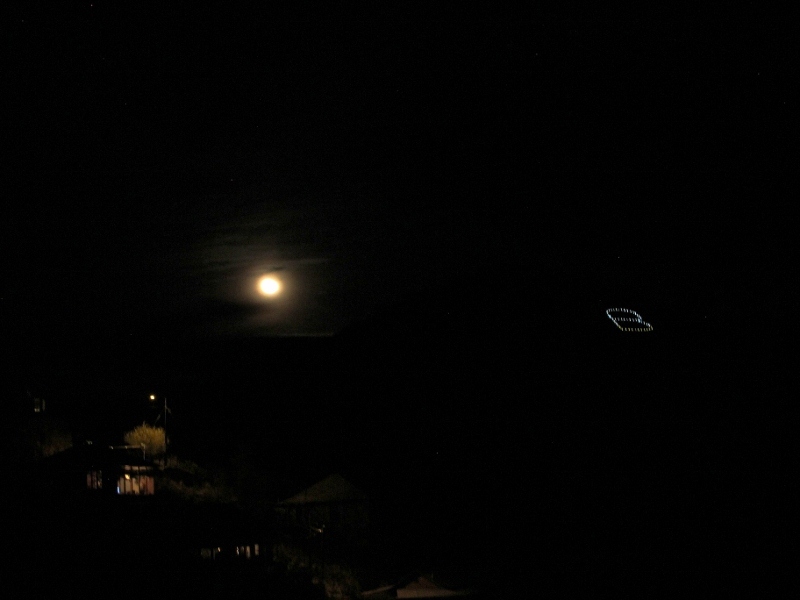 The bright light in the upper left is the full moon. Hot Air Balloon pilots and their crews gather to hear the latest weather reports and restrictions when flying over White Sands. Three biodegradable pie balls are released for the pilots’ reading of the wind. Too windy for the blue and white balloon. We’ll be taking off now. Time to get to work. My pilot has been watching the balloons on this windy day, not all were able to ascend. But he’s decided we can get ready for flight. 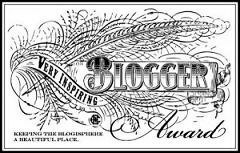 In my next post I’ll be chasing the Blue Moon. 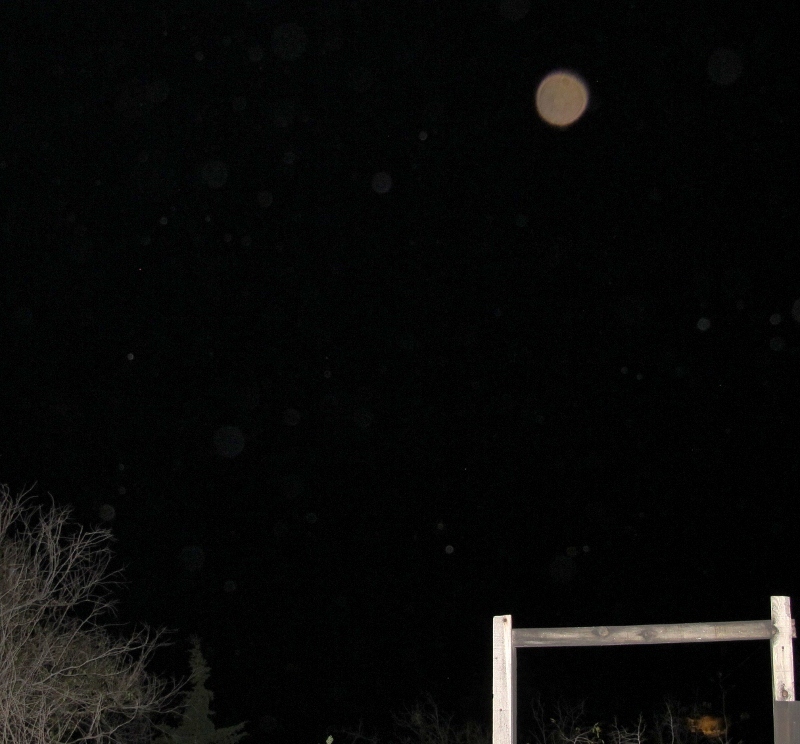 Orbs attend Hot Air Balloon Glow in Alamogordo, New Mexico. 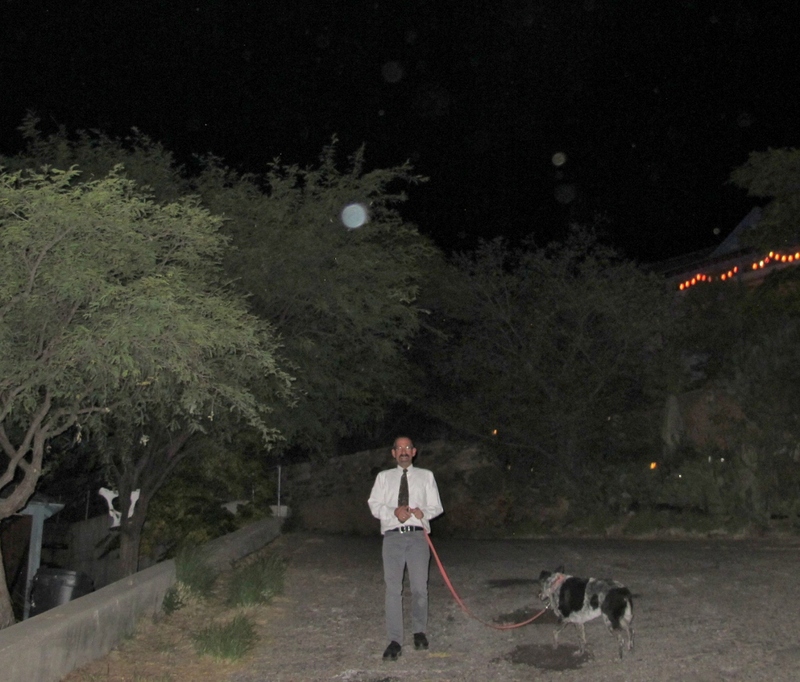 If you’ve learned anything about orbs since following my blog, you know they love a party. And, that’s what the 25th Annual White Sands Hot Air Balloon Invitational put on for the city of Alamogordo, New Mexico last Saturday night. Clouds of orbs blocked the view of hot air balloons rising above the park. See you at White Sands for the mass ascent of the hot air balloons in tomorrow’s post. 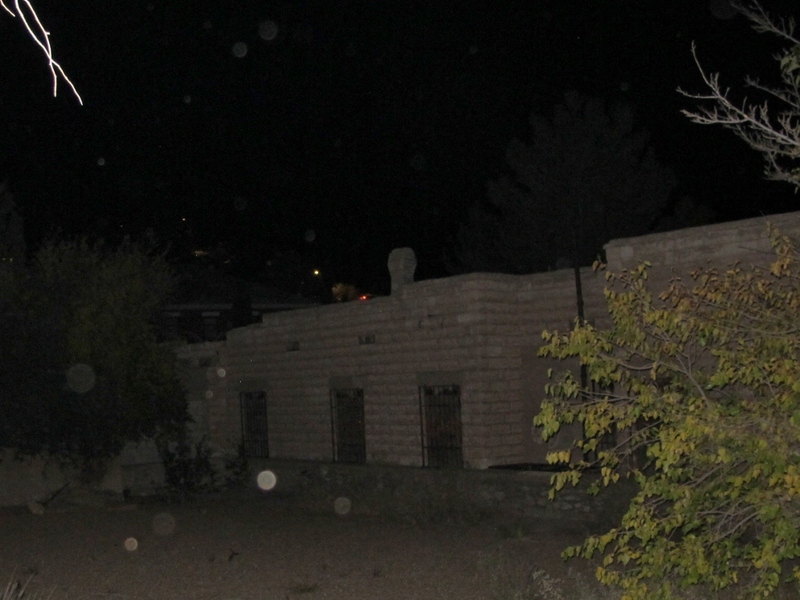 Driving home from Alpine, Arizona it’s finally dark enough to open the window and take some flash photos hoping for orbs. 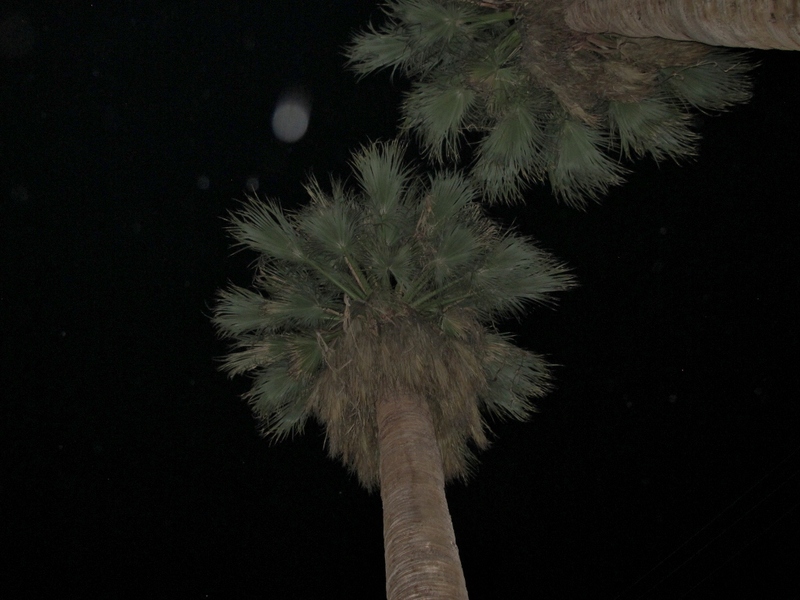 Now this is fun, trying to synchronize my flash with the yucca stalks I see coming our way. Sometimes you can really perceive the depth of the orb. My neighborhood orbs, we’re almost home, slowing around the hairpin turn. Home at last. The agave is beginning to bloom. 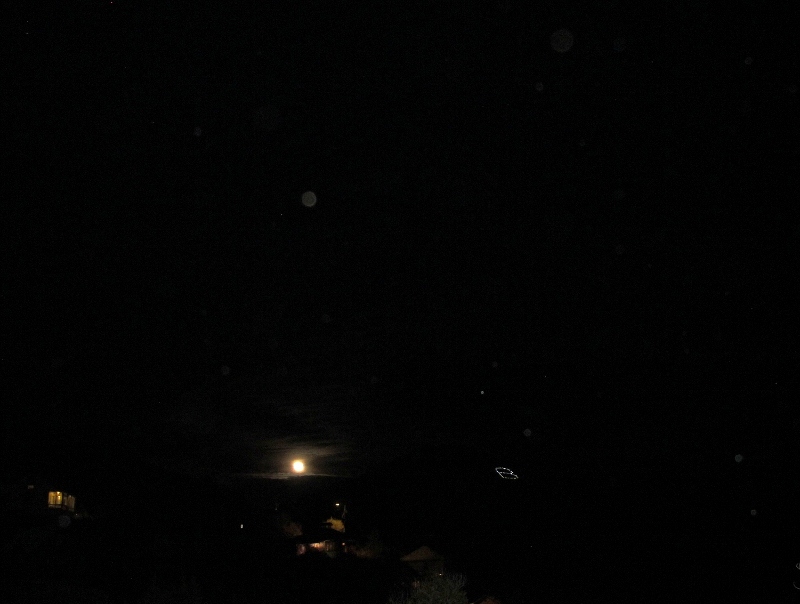 And good old triangle orb is on the upper left as usual. 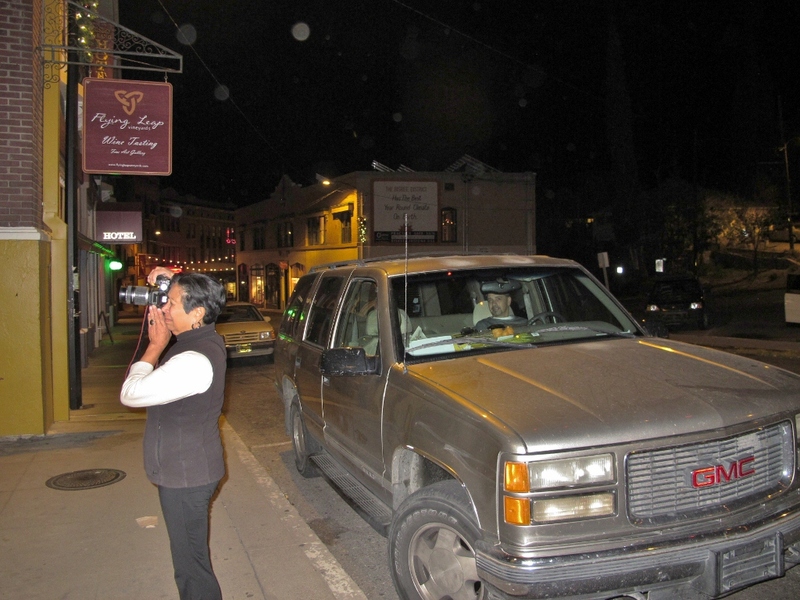 Going out into the night to see if orbs will appear, I center myself in quietness. This image made me smile at first flash. 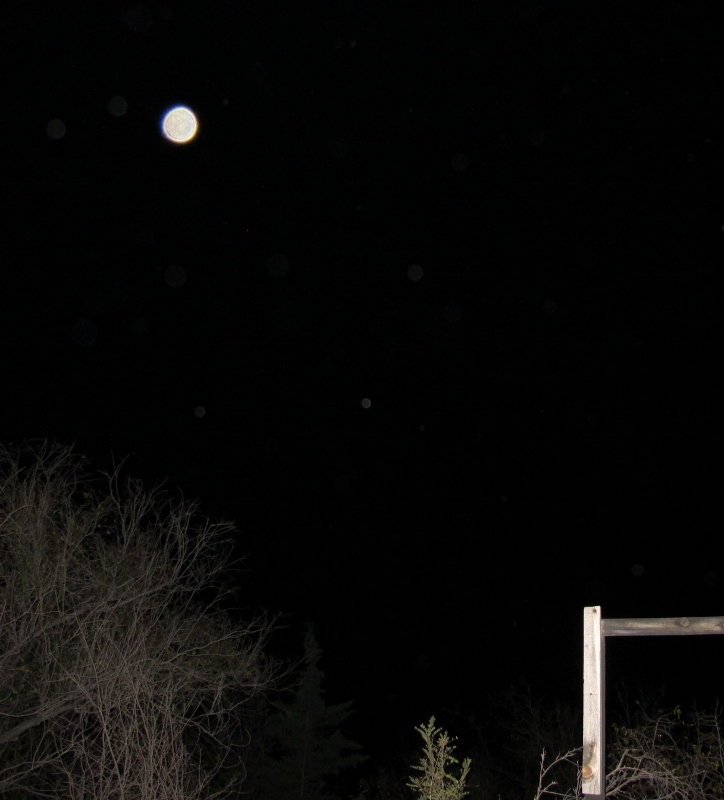 I now see a second orb of blue in the tree branches. 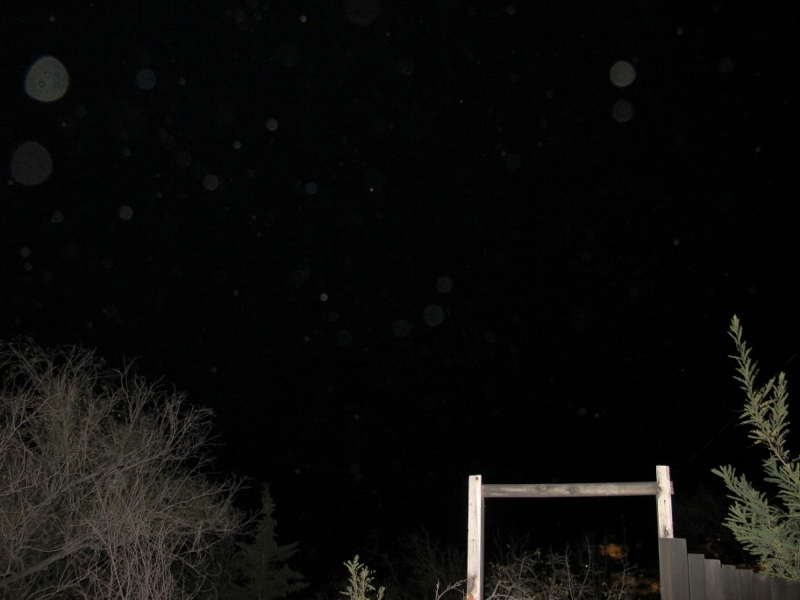 It was a night of solo orbs, some pairs floating above the tree tops. I chose this photo simply because I like that craggy branch on the right. 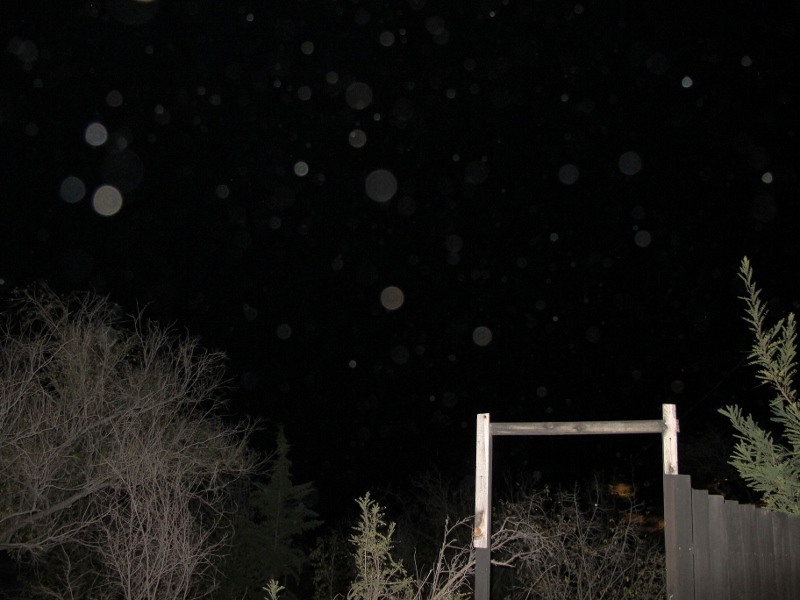 Looks like the party of orbs shifted this evening from the forest to the woods bordering the road. I count about 40 in this photo. One photo more and the party has dispersed. Could the bright orb in this image be the same that was higher in the center of the party photo? I’ll be orb questing again tonight. I recommend that you do the same. It has been too long since I went questing for orbs, but with a friend in town we treated ourselves to a flash adventure on the town. 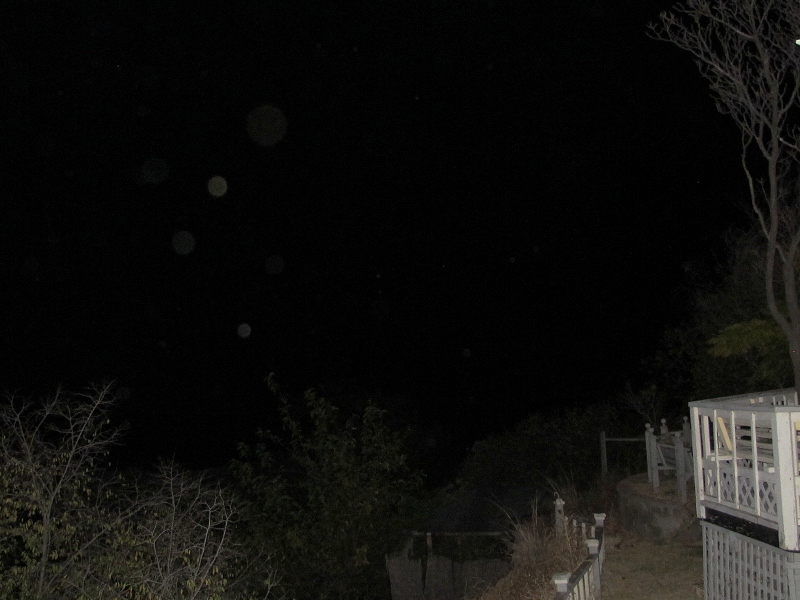 Neighborly greetings were shared with the orbs. 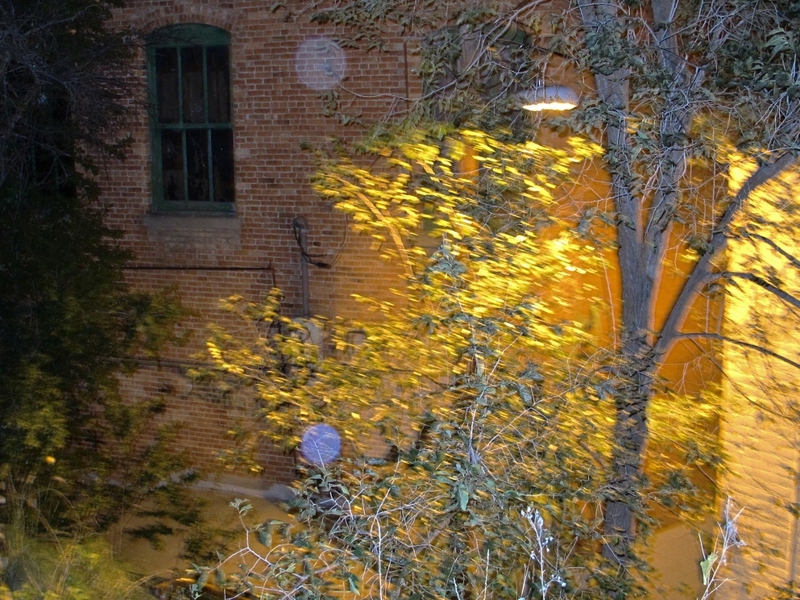 A castle entrance highlighted passing orbs. 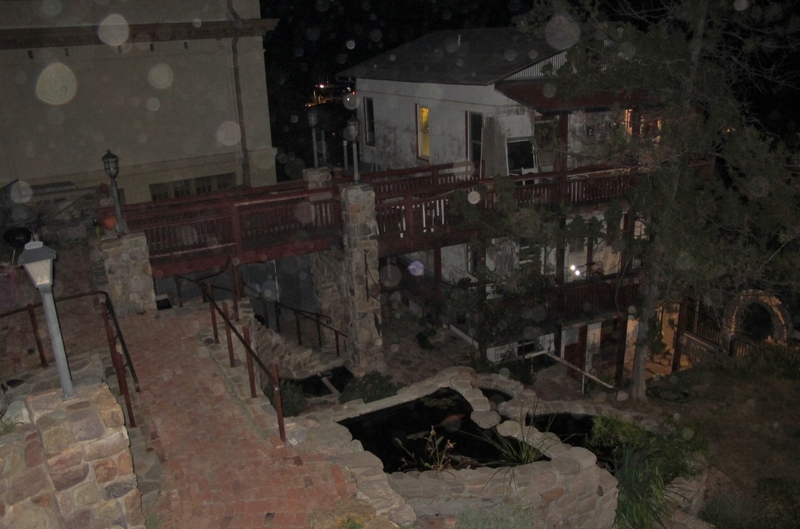 Orbs flocked to the Mermaid Castle ponds. A vacant lot not so vacant. 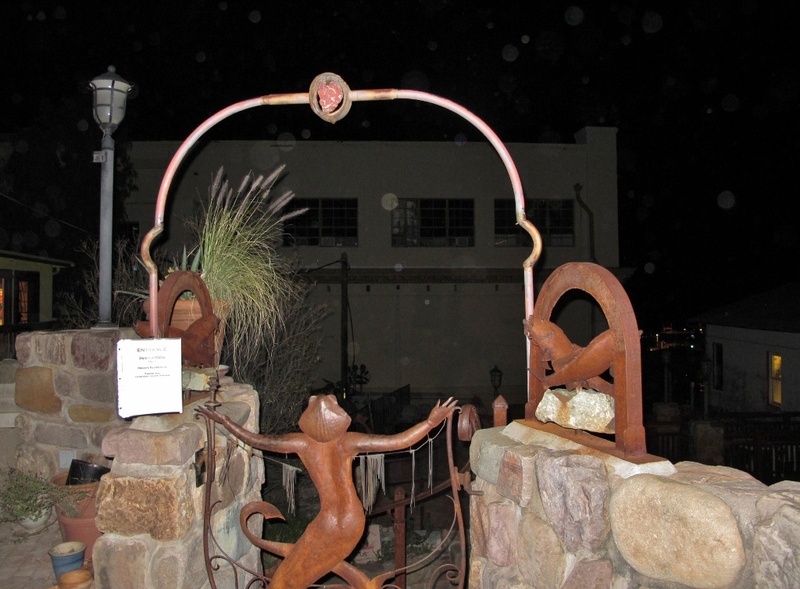 Revisiting a favorite haunt of orbs and friends. 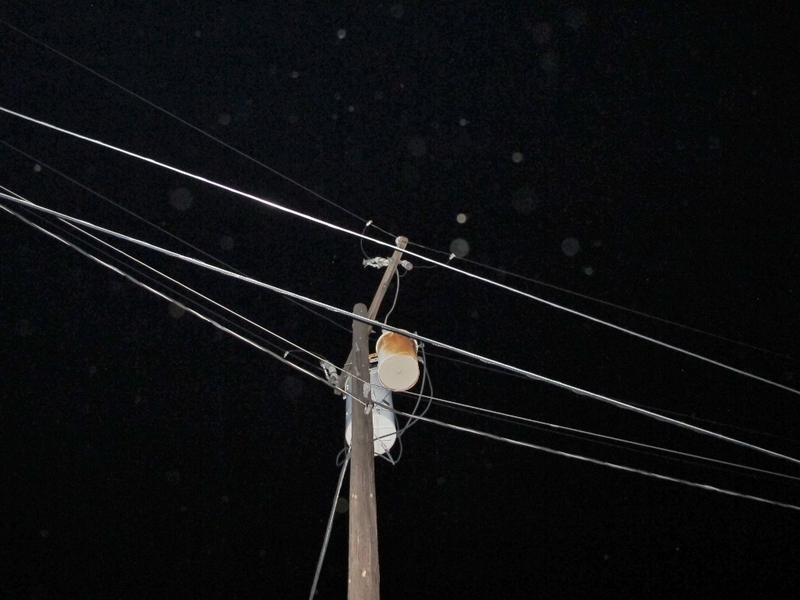 Electrical lines humming with orbs. Murmuring orbs in trees say goodnight. Thank goodness for friends who say yes! to an evening’s quest for orbs. 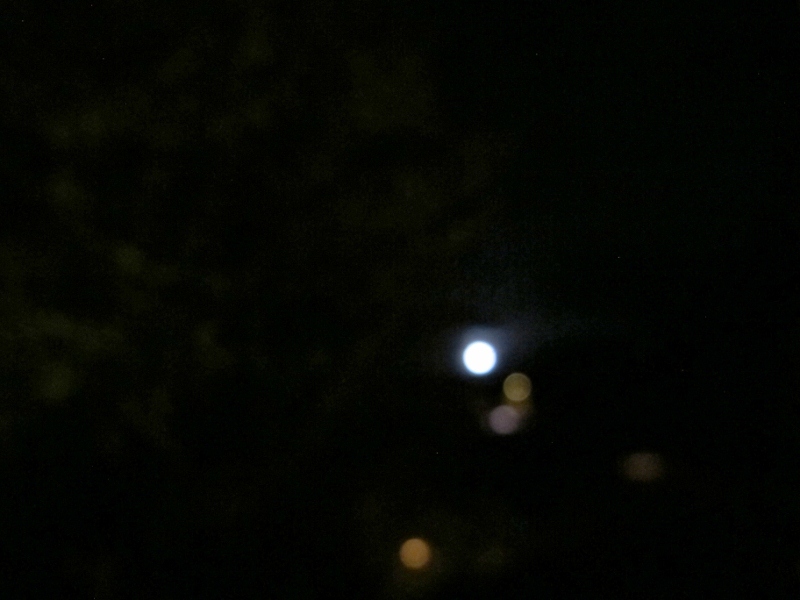 It was the night of a lingering Full Moon. 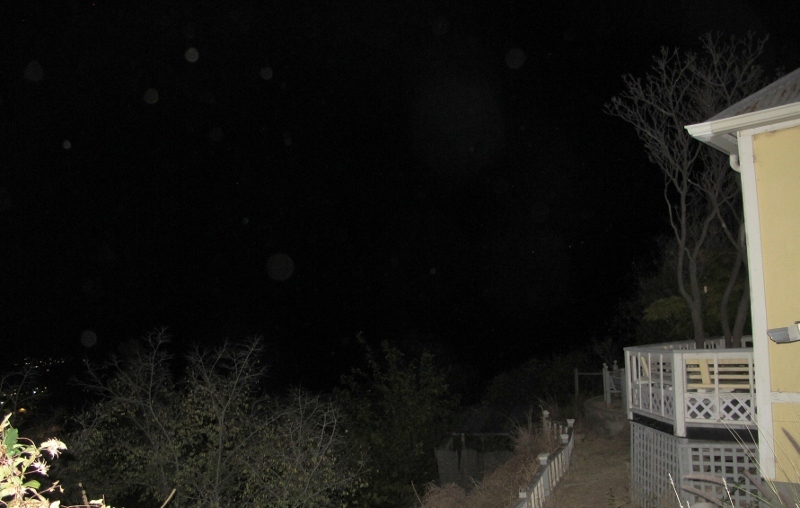 If you squint your eyes you almost see orbs. Yet orbs are there to see. Including Good Old Teardrop in upper left. Lower your contrasts, and open your shadows, and you will see.